Как мне установить или обновить Standard Assets (встроенный набор стандартных ассетов)? Unity packages are a handy way of sharing and re-using Unity projects and collections of assets; Unity Standard Assets and items on the Unity Asset Store are supplied in packages, for example. Packages are collections of files and data from Unity projects, or elements of projects, which are compressed and stored in one file, similar to Zip files. Like Zip files, a package maintains its original directory structure when it is unpacked, as well as meta-data about assets (such as import settings and links to other assets). Choose __Assets > Import Package > __ to import both types of package. Unity ‘Standard Assets’ consist of several different packages: __ 2D, Cameras, Characters, CrossPlatformInput, Effects, Environment, ParticleSystems, Prototyping, Utility, Vehicles__. 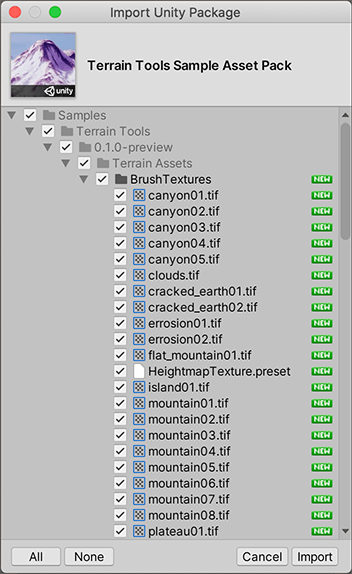 Select Import and Unity puts the contents of the package into a Standard Asset folder, which you can access from your Project View. Choose __Assets > Import Package > Custom Package… __ to bring up up File Explorer (Windows) or Finder (Mac). 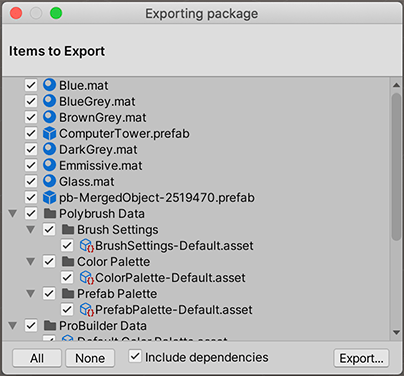 Select Import and Unity puts the contents of the package into the Assets folder, which you can access from your Project View. Use Export Package to create your own Custom Package. Click on Export to bring up File Explorer (Windows) or Finder (Mac) and choose where you want to store your package file. Name and save the package anywhere you like. HINT: It is not good practise to remove files from packages and then replace them with the same name: Unity will recognise them as different and possibly conflicting files and so display a warning symbol when they are imported. If you have removed a file and then decide to replace it, it is better to give it a different, but related name to the original.